Inflows of foreign capital have strengthened the Australian dollar, despite the recent interest rate cut, prompting one Aussie fund manager to say the RBA may “think twice” about another cut. 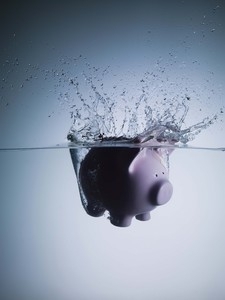 If the purpose of cutting the cash rate was to place downward pressure on the Australian dollar, it has failed according to Instreet Investments managing director George Lucas. “Foreign inflows are also having an effect on the Aussie dollar, which is on the rise despite the RBA cutting rates to record lows in August,” Mr Lucas said. “This rise in the dollar, coupled with mortgage lenders not passing on the full rate cut to borrowers, has seen the RBA’s recent decision completely wasted. Strong capital inflows were a result of the attractive yields the Australian stock market offered, according to Mr Lucas. “Compared to the S&P 500, which yields about 2.3 per cent, the yield from ASX 200 companies is attractive, resulting in foreign inflows and leading Australian companies being included in global yield ETFs listed in the US,” he said. Accentuated by low interest rates around the world, this hunt for yield will continue to be a boon for Australian equities. “With the amount of debt in negative yield now at a staggering $13 trillion, it is no wonder that the main driving force for equities will be the global hunt for yield,” Mr Lucas said. Despite this, AMP chief economist Shane Oliver believes weak data and low inflation might see the RBA cut rates again later this year. “The continuing weakness in wages growth and the risks it poses to inflation are consistent with our assessment that the RBA will cut interest rates again this year, but probably not until November when we see the cash rate being cut by another 0.25 per cent taking it to 1.25 per cent,” he said. I want to help my children financially, what should I be wary of?